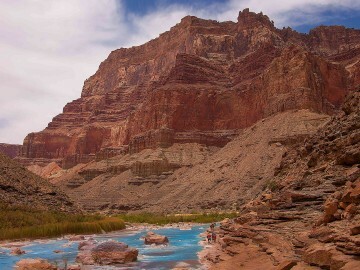 River canyons are some of the most beautiful and adventurous places on earth. 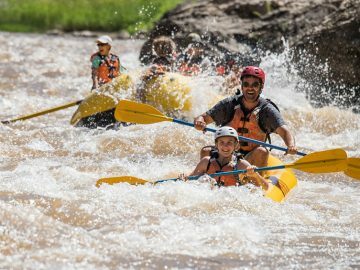 From panoramic views of the Grand Canyon to action shots of your kids paddling into a wave train on the Salmon River, a river trip has almost unlimited opportunities for capturing great photographs. With today’s camera technology, taking great photos in the outdoors has become even easier. 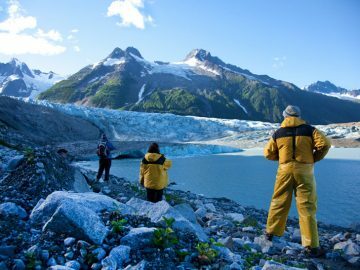 Waterproof cases protect your GoPro from splashes and sand, seemingly endless mount options can keep your hands free to paddle or scramble up steep hikes, and waterproof boxes can protect a nice DSLR through even the biggest rapids. Giant memory storage also allows us to take thousands of photos and videos throughout the course of a trip. Most of us, however, also spend time on rivers as a way to disconnect from our screens, relax with friends and family, and engage with the outdoors. 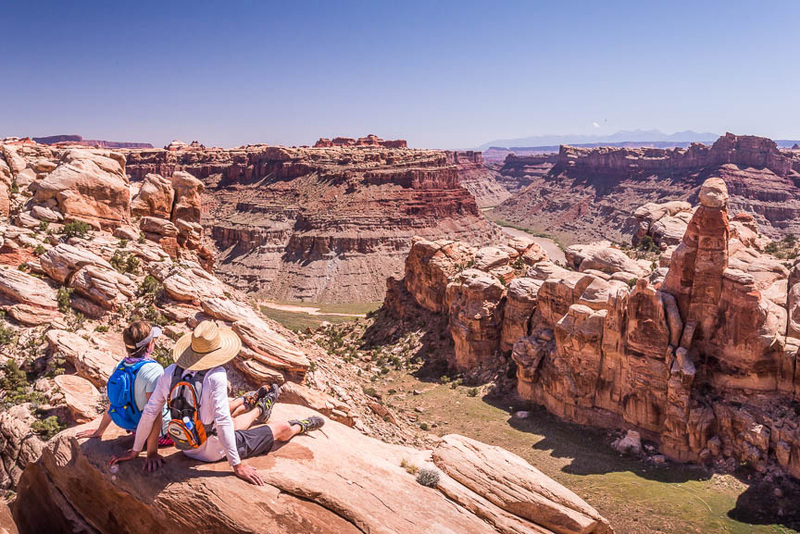 We can’t update our Instagram or send family photo e-mail updates from most river canyons. I always wonder, however, if my picture taking or videography is still interfering with my time on the river. If I’m constantly looking through a screen, am I truly able to appreciate the way the light plays on the canyon walls, or the laughter of a friend as they relate a funny story? Turns out, I’m not the first to wonder about this. Studies have shown that taking photographs interferes with our brain’s ability to remember events, places and the emotions they evoked. Often when taking photos we are more focused on the technical aspects of the photo rather than the blooming cactus, the sand-castle-building, or the sunset right in front of us. I love taking photos, but I also recognize that it sometime gets in the way of an authentic river experience. The following are a few ways I practice photography moderation, while still capturing fun shots throughout trips. 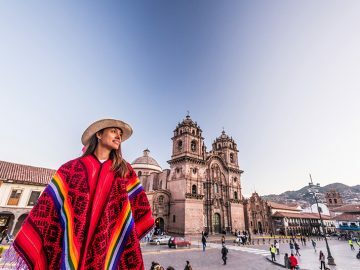 When I arrive at a beautiful view or a guide friend puts on a crazy outfit, I try to take no more than five photos. This allows me to really focus on the art of getting a good angle or capturing the heart of the photo. After those five shots, I put my camera away, and engage my other senses. What sounds can I hear from this canyon overlook? How do these yellow cactus flowers smell? What story does another guide have about this rapid? This helps engage my memory on more levels than just a visual one. River trips are full of spontaneous, beautiful and memorable moments. Sometimes I’ll think, “This would make a great photo!” or, “I wish I had a video of this!” then realize my camera is across the beach on my boat. Instead of missing out on the actual action, I leave my camera where it is – and focus on taking mental photos and making a memory instead. It feels great to spend a whole afternoon and realize I haven’t looked through a screen once – and the people I am with enjoy not being interrupted. 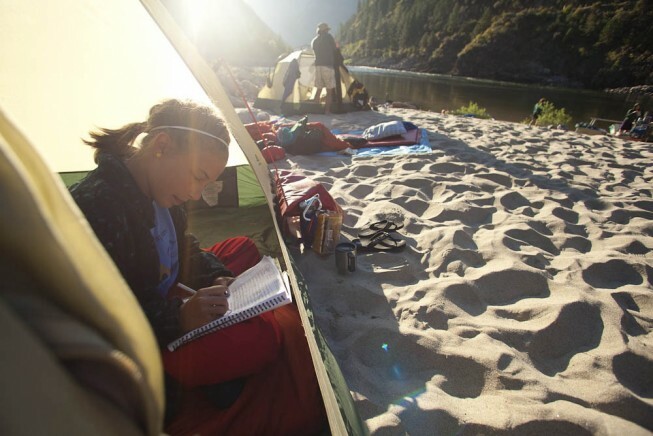 Journaling, painting, telling stories around the campfire, writing songs and doodling are all great ways of creating lasting memorabilia of your trip while simultaneously engaging with the river and people around you. Overall, the best part of putting my camera down on river adventures? Less photos to sort through at the end of a trip! After I get off the river, I like to pick a few favorite photos to share, then start dreaming up my next adventure instead of having to trash the 34 “artsy” photos of my sandals in the sand. 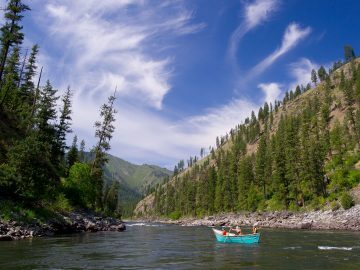 Whether you are a professional photographer or an iPhone point-and-shoot enthusiast, practicing photography moderation is a great way to capture memories, while also making sure you relax and enjoy your time on the river.